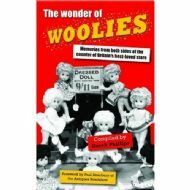 A great new book relating the story of Woolies in words and pictures. Both staff and customers have had their say. I supplied the EP covers and also wrote my own memory of Embassy Records. I can supply the book at the cover price of £8.99 + £2.00 p&p. I can also autograph the book if required.